Lack of basic knowledge about spatial and treatment varying crop response to irrigation hinders irrigation management and economic analysis for site-specific agriculture. One model that has been postulated for relating crop-specific economic quantities to irrigation is a quadratic response curve of yield as a function of irrigation. Although this model has far reaching economic interpretations it does not account for spatial variation or possible nitrogen-irrigation interactions. To this end we propose a spatially treatment varying coefficient model that alleviates these limitations while providing measures of uncertainty for the estimated coefficient surfaces as well as other derived quantities of interest. The modeling framework we propose is of independent interest and can be used in many different applications. 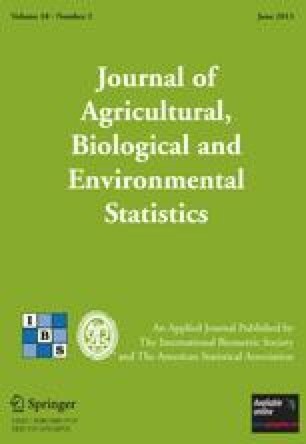 Finally, an example involving site-specific agricultural data from the U.S. Department of Agriculture-Agricultural Research Service demonstrates the applicability of this methodology.